Wonderful news for Tom Hanks and his family! 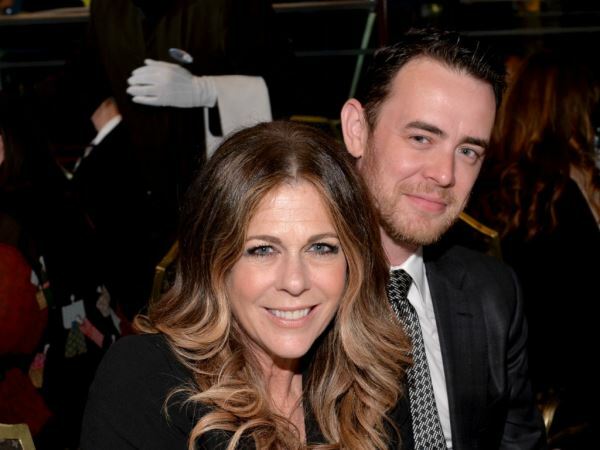 Colin Hanks has revealed that his stepmother Rita Wilson is “cancer-free”. The 58-year-old actress confirmed she had undergone a double mastectomy last month. Now her stepson Colin, whose father is Rita’s husband Tom Hanks, has given an update on her condition. “She's cancer-free, which is great," the 37-year-old told ET Online. After revealing her diagnosis, Rita took a leave of absence from her role in the play Fish in the Dark to address her health concerns. But Colin added that the whole family is excited for her return to the production now she is in the clear. “[She] is absolutely slaying them every night over at Fish in the Dark,” he smiled. Following her original statement in April, Rita has kept her fans up to date on her health. And time and again she has thanked her husband of more than 25 years for being by her side throughout her ordeal. “I was so amazed, so blown away by the care my husband gave me,” she told the New York Times. “It was such a normal, intimate time." On May 7 she took to Facebook to confirm the news that she would be returning to the stage. And she also took the opportunity to inspire people going through tough times themselves. “I want people to know that even though you go through life altering experiences, that this beautiful thing we call life, goes on," she wrote. "I know that not everyone will have this good fortune but I think it's important to let you all know that there are good stories."